When it comes to roof care, Florida homeowners have it rough. More hurricanes make a direct hit in Florida than any other state. During storms, wind and rain strike properties with damaging force. For example, Hurricane Irma brought winds that reached 142 miles per hour, and year-round Florida receives more rain than almost any other state. Do you know what that does to your roof? As Florida’s top home inspectors, we’ve seen it all. We know the extremes of Florida weather—and the tolls they can take on your property. 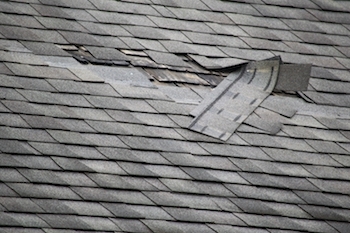 Storms can damage windows, siding, and landscaping, but they hit roofs particularly hard. There is hope, however! By following good maintenance practices, you can ensure your roof is ready to take on the next hurricane season. Do this for a safer home. Keep your roof clean and free of debris. We recommend owners clean their roofs on a quarterly basis by blowing off leaves and washing shingles to blast away invasive algae. Lack of cleaning can increase damage to the roof causing the roof to wear and leak prematurely. Check for damaged shingles and replace them. While you (or your contractor) are cleaning off the roof, take time to remove damaged shingles so that new ones can be installed before a storm hits. Don’t forget to check the gutters. Remove leaves and debris from your gutters at least four times a year to ensure that roof runoff is being diverted away from the home. Check your insulation and ventilation. Proper insulation and ventilation is key. Florida attics get hot, but if the attic is not properly ventilated or insulated the heat can build up and cause damage to the roof from the inside. Check for leaks and stains. Twice a year, take a trip to your attic during heavy rain. That’s the best time to see if there are problem spots and so you can nip them in the bud when the rain lets up. Having a well-maintained roof will save you grief and dollars. You can reduce the potential for damage from leaks, storms, and other natural disasters. And if you go to sell, you won’t have to knock dollars off your listing price to cover the cost of a new roof. If you’re a homebuyer, you’ll want to know as much as you can about the condition of the home’s roof before you make an offer. That’s where home inspections come in handy. Roofing is expensive. Re-roofing can cost $7-10 per square foot and sometimes more. A house that seems like a good deal might not be so budget-friendly if you have to factor in the cost of replacing a faulty roof. To figure out whether a roof will hold out, first check its age. Most insurance policies have a 20-year maximum for roofs. If a roof is nearing the 20-year mark or has hit it, it probably needs to be replaced—otherwise, you’ll be out the cost of a new roof if the next storm blows your shingles away. Also, it is smart to ask home sellers about their maintenance practices to see what upkeep has been done on the roof, if any. Above all, ask a pro! Our team at HouseMaster can tell whether a roof has been well-maintained or needs to be replaced as part of our detailed home inspection. Wondering about the condition of your roof? Get in touch with our local HouseMaster team now.